Brief Synopsis – After being stranded on an island in the South Pacific, a fashion editor and a free spirited pilot must find a way to work together to get rescued. My Take on it – This is a film that I recall seeing once before yet was curious to see again since I didn’t remember much about it. This is actually a really bad movie because it doesn’t succeed in any aspect. The story is silly; the characters are unlikable and most of all, the cast has no chemistry what so ever. 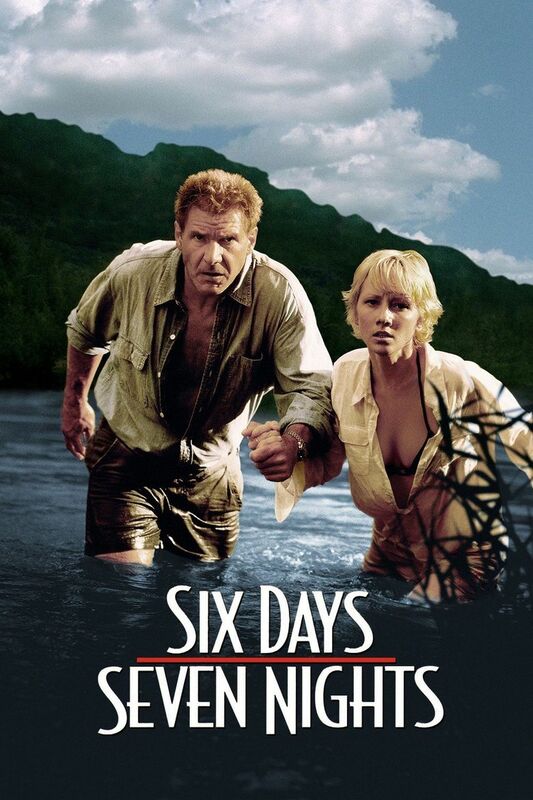 Whoever decided to team Harrison Ford and Anne Heche together made a huge mistake because they are so annoying together in this film. Even the rom-com banter in the dialogue doesn’t work and it makes you wonder what possessed them to write such drivel. I believe that this films biggest failure is in the fact that they seem torn as to what kind of genre this film deserves to be in. The comedic moments don’t come across as being very funny and the romantic parts don’t seem romantic enough to be believable and the balance between the two is quite wrong throughout. David Schwimmer was always great in his role on Friends, but bringing his Ross Geller persona to Tahiti just doesn’t work in the kinds of situations this film creates, especially as a Rom-Com. Bottom Line – Terrible film that doesn’t manage to work on any level. Ford and Heche have horrendous chemistry together and the romantic comedy banter between them just doesn’t work. The biggest problem is that the film doesn’t decide whether it wants to be comedic or serious and remains quite unbalance since it neither comes across as being funny or romantic. Schwimmer is almost miscast as Heche’s fiancee and his Ross Geller persona doesn’t manage to work in this kind of situation.